Heating, ventilating, and air conditioning systems are key components to a comfortable home. If yours isn't functioning properly, your home may not cool down or heat up as it should. What makes maintaining the good health of your HVAC system challenging is that it's comprised of many parts and each one has to function properly or the whole machine may break down. In addition to an uncomfortable home, your malfunctioning HVAC system could be hiking up your energy bill. The U.S. Department of Energy explained that most people's air conditioning and heating systems account for 48 percent of their energy bills. If there's an issue with your system, it may have to work harder to function, ultimately using more energy than it needs. A problem that a lot of homeowners face with their home cooling systems is leaking refrigerant. Most condensers require a liquid refrigerant, which is what creates the cool air that flows into your home. Without proper amounts of this liquid, the machine won't function properly. You'll notice that your air conditioning is blowing out warmer air. During the spring and summer months, this can become a major issue, as this will leave your home stuffy and hot. It will also lead to more problems over time if you fail to have a technician repair or replace your system, as leaking refrigerant causes the condenser to work a lot harder, resulting in increased wear and tear. If you realize that your refrigerant levels are low, but haven't noticed any problems from your system yet, don't wait to see if something happens. Your air conditioner needs this liquid to work. Notify a technician who will ensure that the refrigerant charge exactly matches the manufacturer's specification, and is neither undercharged nor overcharged, as this is when your system works most efficiently. According to the DOE, refrigerant can also be harmful to the environment when it leaks outside. Leave your broken HVAC system in the hands of a professional repairman with your TotalProtect home warranty plan. If your compressor and fan controls start to fail due to frequent use, it may mean that the terminals and wires within your system have begun to corrode. This is particularly common with air conditioners that are powered on and off frequently. If you notice this happening with your system, have it checked by a professional to prevent further damage. To ensure your air conditioner is functioning at its best, change the HVAC filters once every month or so. This will keep your system clean and prevent the motor from having to work overtime, which shortens the life of the unit and burns more energy. 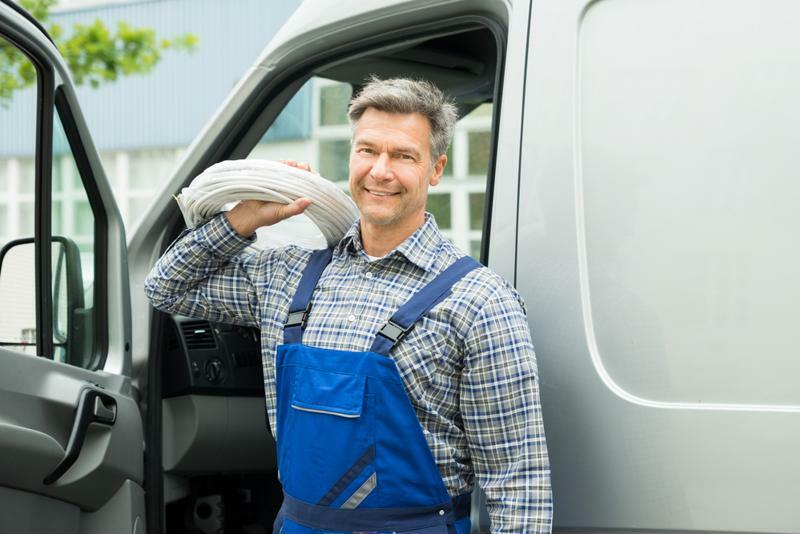 Dirty filters also make it challenging for your system to pull in enough air to cool, so you may notice a lack of air flow coming from your machine if this problem is affecting your HVAC system. By taking care of your filters on a regular basis, you will avoid major mechanical issues down the road. It's not uncommon for the condensation pump on air conditioners to break, causing water to pool instead of drain properly. If your unit is located near your home's foundation, this can result in major water damage. This will also cause your system to work harder and less efficiently altogether. Your thermostat sensor in your home detects the temperature of the air and then signals your HVAC system to turn on or off. This process is what ensures your home is a consistent, comfortable temperature. When your sensor doesn't work, your unit doesn't know when to cycle on or off. If you notice your air conditioner or heater isn't turning on, it might not be broken. Have a technician see if the sensor is the issue. Make sure that your sensor is in a large room near the center of the house as well. Broken sensors might turn your HVAC system on and off too frequently, which will cause a lot of wear and tear. Don't let even the smallest problems with your HVAC system go unnoticed and turn into a serious issue. Even with the proper maintenance, after years of use, your unit will inevitably experience a problem or two that you can't take care of on your own. Protect your home with a warranty plan from TotalProtect, which will allow you to rest assured that your heating and cooling system will be left in the hands of a qualified technician when it breaks down due to frequent use.